Green Deal - Does the report understate the impact in both cost and land use for 100% renewables? Green New Deal... While the outline that was made available is very light on details there are a number of references that are sighted in the outline. The key one for costs and capability for energy generation and the grid is the Stanford paper by Jacobson, et. al. At 107 pages with probably 20 of that as math, it will take some time to read in detail. One thing that pops to mind quickly in the paper is that the authors only took the foundation area of wind turbines as land use, so they show a very small amount of land used or wind turbines. The second thing that pops out is that they used absolutely the best possible solar capacity factor - not the US average, or even a state by state. The third thing that is clear is they are working to an average power production for the whole year and not taking into account seasonal or regional differences. I suspect I will end up taking several weekend days to go through it in detail, but based on just those few factors, I would guess (and it is only a guess) that the report understates the impact in both cost and land use for 100% renewables system. Doug, Jacobson's 107-page paper is rife with obscenely-favorable characterizations of renewable energy, typical for something generated by an anti-nuclear activist - whether he teaches at Stanford, or not. I think I can save you several weekend days by suggesting you first read Clack et al, Evaluation of a proposal for reliable low-cost grid power with 100% wind, water, and solar, the evaluation which induced Jacobson to sue its authors - and the National Academy of Sciences - for defamation, or criticism, or pain and suffering, or something. Soon thereafter Jacobson dropped the suit, claiming victory in defeat. There are many other debunkings by others, yet it continues to surface as scripture in the Church of Renewables. Claiming victory in defeat - denial - is renewables doctrine in a nutshell. - 100% and 60% by renewable would be 5% more expensive. They also published their simulation model such that the visitor can change parameters to find out sensitivities, etc. Their results as well those of German think tank Agora (the best they have), are in line with those of Jacobson etal. Note that French govt then decided to reduce nuclear share in France towards <50%, which is a first step towards the 2050 optimum concluded. So it seems to me that Clack etal are wrong. Especial since their rebuttal contains many inaccuracies (or worse) and they didn't do relevant simulations. Yes they could potentially contribute, but only at high costs while they are not needed. Looking at experience, nuclear clearly doesn't help to assure high levels of reliability. Electricity supply in Denmark and Germany is ~10times more reliable than that in USA and ~4times more reliable than that in nuclear France and UK (check the SAIDI figures). Why would Jacobson increase the costs of the 100% clean situation by including not needed expensive technology which doesnot increase delivery reliability??? As someone who has researched both authors for my master's research. The two major criticisms by Clack is that the Jacobson papers' assume that there is no dispatch model similar to ISO dispatch and two that the hydropower plants are upgraded to a larger power capacity but the same energy density. Furtheron, Clack is a RE supporter and does have confidence in a 100% RE system. While people may attack the research by both Clack and Jacobson, but they are also paid by industry to tackle technical problems in the field. As someone who doesn't like Jacobson's paper, it is a theoretical paper which is pushing the conversation forward. Independently of Jacobson's report, MISO, SPP and PJM, individually have come up with similar results for mid 40s-60s penetration of wind without any major cost upgrades. "The conclusions reached by the study contained in ref. 11 about the performance and cost of a system of “100% penetration of intermittent wind, water and solar for all purposes” are not supported by adequate and realistic analysis and do not provide a reliable guide to whether and at what cost such a transition might be achieved. In contrast, the weight of the evidence suggests that a broad portfolio of energy options will help facilitate an affordable transition to a near-zero emission energy system." No, misprepresenting the possibilities of wind/solar/water to achieve 100% penetration (or any significant percentage) does not "push the conversation forward". Though it might push Stanford's Natural Gas Initiative forward, it only distracts from legitimate proposals to address climate change. 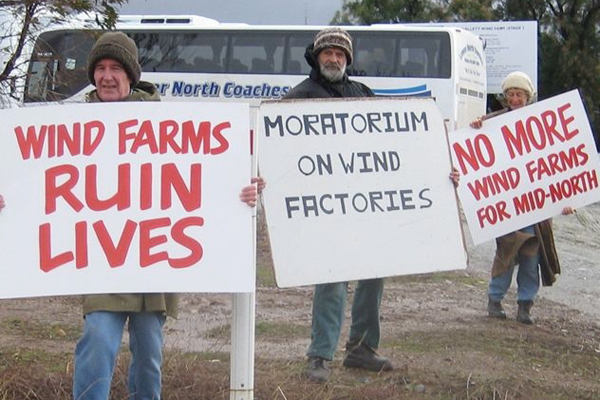 Even 40-60% wind, in one of the most affluent economies in the world, won't cut it. His energy transition podcast interview and you are right, he was more on no fossil fuels and a clean grid. I should have said that we can have a non fossil-fuel based electric grid. The paper used numerous models that Dr Clack had built and developed to show how the US could reduce carbon emissions by 80% by 2030 and do so without raising the cost of electricity – and critically without the use of storage! Secondly, his paper in 2017, states that all the papers which propose it don't have dispatch models which is an important piece in these models. His claim is that you cant use this as a basis. FYI, my academic research went into Jacobson's report and see the problems in the assumptions and what can be done to make the model more accurate. These models become better and better with more access to data. Calling Jacobson a quack is being facetious as his research on air pollution is useful and. I disagree, this does push the conversation forward. There have been many many "new"/"Alternative" green deals. Instead of people whining about this deal, come up with one of yours as Noah Smith did. It will bring in more people into the fold. Climate Change is the most important problem we need to plan to mitigate. Shashwat, who's whining? Jacobson's idea is impossible, so here's something that would work: eliminate all funding for "renewable energy", and embark on a massive buildout of nuclear energy in the U.S. How do I know it will work? Because, unlike renewables, it already has worked. France decided to reduce nuclear capacity to 50% in 2035 as a first step (the first NPP will be closed in 2021). Because studies showed that 100% renewable is cheaper. Your reference refers to the time unsafe reactors could be built fast. The consequence, ~1% ending in disaster with exclusion zones and thousands of radiation victims, learned the world that reactors should be made safe. That turned nuclear into the most expensive methode to generate power with less CO² emissions than fossil (though more than wind & solar). Don't understand why both can't go together. RE is not taking money from Nuclear. Why not take the money from other polluters? All your arguments can be made for all energy sources. That is simple. Last year Swedish and Finnish reactors were derated and shut down due to higher than designed water intake temperature. Your other problems are solved/solvable. I am not going to waste my time debating Shellenberger articles as he still uses the early 200s paper which is filled with mistakes. Nuclear's land use is hundreds of times lower than either utility wind or solar. That's physics - unsolveable. Nuclear's 95% capacity factor is 300% higher than utility wind and solar. Again, that's physics - unsolveable. Nuclear is only expensive when considered over short timelines, a bargain over the long haul. Will we be responsible for preventing carbon emissions only for the next 5-10 years? Nuclear does not require fossil fuel backup, never has. For wind and solar, unsolveable. Nuclear requires minimal transmission infrastructure. Like a tree, it's the most efficient way to distribute the same resource to multiiple destinations. Nuclear is functional at all latitudes, in all climates, day or night, windy or calm. This has nothing to do with Shellenberger - it should be obvious. If it's not, I'm wasting my time. This discussion may be interesting on its own merits, but the Green New Deal does not require 100% renewables, only net zero emissions, despite the fact that many of its earliest proponents wished it were only renewables. The flaws in the Jacobson analysis aren’t especially relevant to the GND, since there are other analysis, including Clack and NREL’s, that show the feasibility of 80% or more renewables. "...that when using future anticipated costs for wind and solar, carbon dioxide emissions from the US electricity sector can be reduced by up to 80% relative to 1990 levels, without an increase in the levelized cost of electricity." Like every other failed renewables prediction it relied on "future anticipated costs of wind and solar," which for once would supposedly be achieved. It provided no evidence renewables would ever be capable of providing more than 80% of U.S. electricity - or any other economy, for that matter (your swap of "up to 80%" with "80% or more" - classic renewables lily-gilding - is duly noted). It assumed all lower 48 states of the Union would join together to construct an imagined HVDC National Electricity Grid, coming to harmonious agreement on the value of each state's contribution. A non-starter. Thanks for sharing Doug. I'm curious if you could share the report you're discussing here so others can see it. Also do you have any broad back-of-the-envelope or ballpark estimates for how much you think the report understates the land-use needs or what the land use actually is? 1) The foundation is the right amount of area as the land is still suitable for other purposes. We don't account for the water surface area that offshore oil rigs use. 2) In Jacobson's paper, he has modeled each state to its specific capacity factor and has not taken an average for the US and used for all states. He has separate models for all. His production models are a bit simplistic compared to reality but when ISOs use similar models they are able to predict wind and solar with high accuracy. Further, the models are improving year by year. 3) Actually, he does take into account for seasonally variability. The problem is that his dispatch model is way too simplistic. That was Clack's main criticism. Adhikari - I disagree. While the land under transmission lines can be used for somethings, it can not for other things. This is also true of wind turbines and solar facilities. Based on having a cottage less than 0.5 KM from a 2.5 MW wind turbine, I would not want to put residential housing or animal agriculure in and among wind turbines. After seeing what happened to the corn growing under the turbines this summer, I would not want to plant corn or soybeans directly under the turbines either. Solar PV shades enough of the ground that it does not make for good crop growing (besides getting modern havesting equipment in is hard with the proximity of the bases) and i would not want to put anything that would shade the site on the south, east or west sides of the array. So while the foundations completely disrupt any other use and there are some possible uses of the ground, the reality is the turbine and solar total footprints restrict many uses of the land. 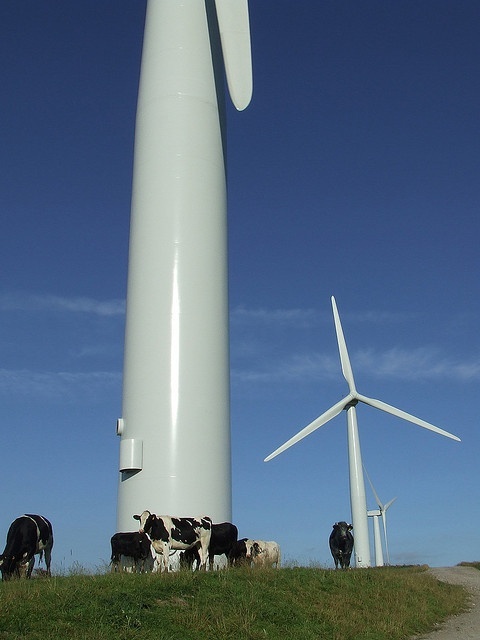 Environment Canada has on-going studies on the impact of wind turbines on structures, animals, agriculture production and humans. These studies are years away from reporting and are being done carefully. I hope they provide an all clear, since I spend time so close to a wind farm. 2) I would like to see the individual models because in first and second read of the referenced paper - I don't see links to these models and in the "Capacity Factor" table he only indicates that solar is a 0.26 capacity factor - which works for Arizona and New Mexico, but is too high for the rest of the US. If you have a link - please send it. 3) I have not read Clack and don't intend to. I am refering back to my peer reviewed studies on electrification and solar/wind generation that IEEE has published over time. I have massive issues with the difference in land that this study shows used and what I have calculated previous. I also note that it looks like there are no roads/walking space in his solar arrays - making them take less land, but probably meaning they are not maintainable. But, I am still working on preliminary calculations and will once the draft is done, passing my calculations past a peer review process. I am not in a hurry, We need the numbers to be accurate and reasonable - so that we don't disappoint people early in the process and get huge backlash - which will kill any forward momentum. 1) Solar is not counted as multi-use in his paper. For wind turbines, you may not like it but there are 100s of farmers in the midwest who love wind turbines on their farms and have not had problems with it. Also, the US specifically has an oversupply of farmland and crops, with all the programs that are there to save the croplands. 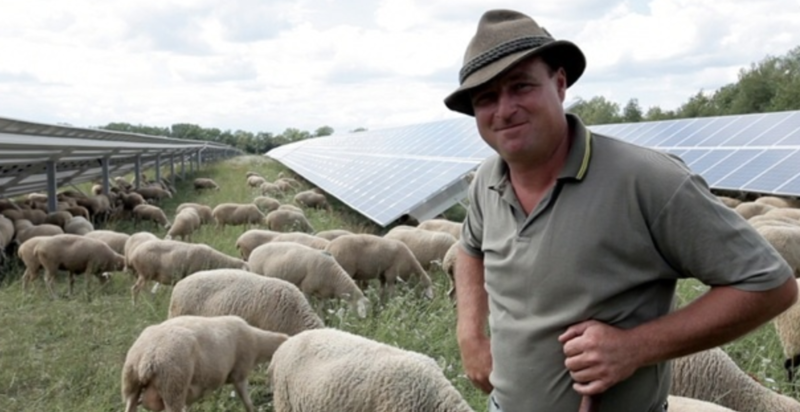 Solar and wind don't harm the land or change its use. Further on, we will be getting more data in the next few years from California and Minnesota about dual use solar that will give us a better picture. Effect of wind turbines on crop yields. Also, we don't need as much land as we do for farming. Very tiny footprint. This honestly is not a great argument. Liking and hating turbines is a personal choice. You don't like it but some others do. Check the average insolation tab. 3) Clack et. al. is not on electrification. I was speaking about his response to Jacobson on the report. Can you please link your studies cause I have done academic research using EPRI and the AMO's BAT papers about electrification. I was able to identify 60% of MECS data that could be easily electrified with equivalent machines which had the same throughput and heat requirement. A major problem in the electrification studies is the lack of industry data as it is a trade secret for most of the manufacturers. Au contraire to your argument, Jacobson is overestimating the area required. He uses 5acres per MW when we are right now approaching 2.5acre per MWdc using 350W panels and single-axis trackers. With the 450s and higher, we will be cutting down the acreage per MW. One of the major drawbacks of the Jacobson study is that it doesnt "site" projects in locations and averages the production over large swaths of land. It is pretty impossible to site where you can place the projects. One of his inputs is the NREL/EPAs re-powering dataset. Which identifies the best suitable land for solar and wind. Funny thing is that 5 years ago, the data was pretty optimistic. Now, that study is conservative as the industry has found better solutions that allow us to use lands which were considered previously unsuitable for solar. Also, his prices are way too high for solar and wind. The costs we have compared to what he has modeled is way to high. His biggest problem is in the dispatch of electricity. His model/assumptions on coming to the answers are correct on a larger scale but when you go into localized effects on the grid, it starts showing its weakness. To let you know, I am not a supporter of the Green New Deal in entirety. There are many aspects which are against my personal beliefs of capitalism and the fact that an energy transition in the utility industry in 10 years is pretty hard to impossible. What I support is complete decarbonization and reducing all forms of pollution. Bas - nice. Happy cows, and a happy sheep farmer. Here are his unhappy neighbors. "GLENVILLE, Minn. — Wind turbines have become as commonplace in parts of the rural Midwest as tree-sheltered farmhouses, gray-metal grain bins and deeply furrowed fields. But when a developer sought to put up dozens more of the 400-foot towers in southern Minnesota, hundreds of people in the heart of wind country didn’t celebrate. They fought back, going door to door to alert neighbors and circulating petitions to try to kill the project. They packed county board meetings, hired a lawyer and pleaded their case before state commissions. The criticism has worked so far, stalling the development. Although opposition to wind power is nothing new, the residents of Freeborn County are part of a newly invigorated rebellion against the tall turbines. These energized opponents have given fresh momentum to a host of anti-wind ideas and successfully halted projects across the country." Matt, in 2011 PG&E was bragging Diablo Canyon is worth $1 billion to the San Luis Obispo economy, providing 3,358 direct and indirect jobs locally. 1,483 or those jobs are professional, > $100,000/yr jobs. The median home price in San Luis Obispo is $725,000. The geographic footprint of renewables is huge. Click here to see how big a wind farm would need to be to generate half as much energy as Diablo Canyon.